Too much stuff can turn into stuff, and by itself an object or a picture has no meaning. From a material standpoint a photograph consists of a piece of paper (or, in this day and age, a bunch of pixels), and an object is made of a material of some kind. So why do we get attached to stuff? Why do I have a hard time parting with daughter's drawing that says " happy birthday to the best mom in the world?" 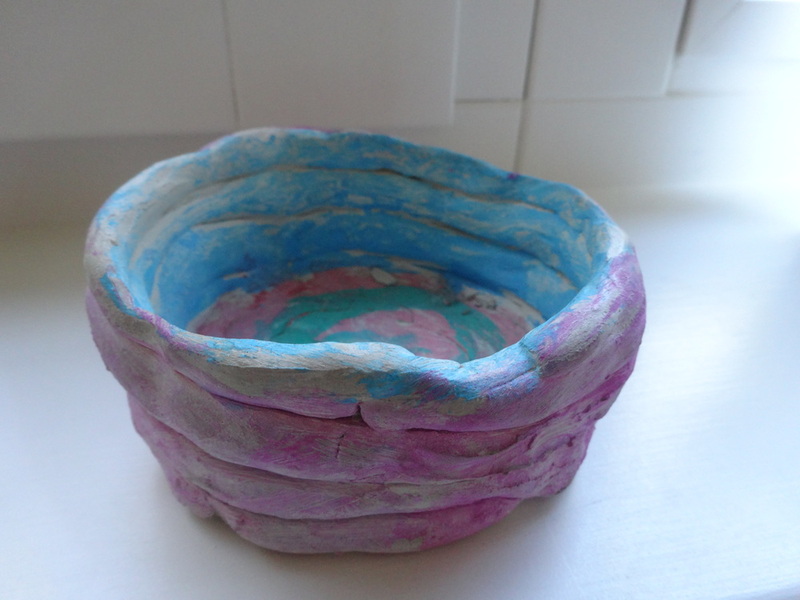 Why do I love the small bowl son made in 2nd grade during his first foray into ceramics, that uneven bowl made out of clay ropes, so much? People preserve their wedding bouquet or bronze baby's first shoe after all. We attach meaning to an object by linking a story to it. Some people are even able to feel an object's energy based on the object's story. Time stands still in that object which stands for a particular point in time. A brand new thing has no energy, no story attached to it, other than that of its manufacturing process, while an old piece of furniture can emanate the energy of what it's absorbed over the years, the people who have lived with it, perhaps of the person who made it. 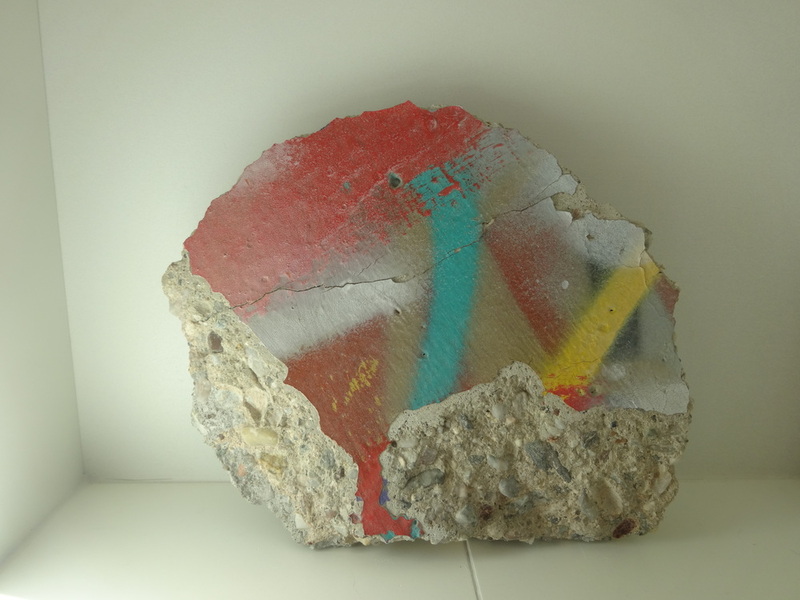 I have a piece of the Berlin Wall we collected when the wall came down in 1989. To someone else it's a pretty banal piece of concrete. But I grew up believing that the Iron Curtain, the Cold War and the Berlin Wall were here to stay, kind of forever. And then it all changed so fast. Your life, things, history can change so fast, with a shift, in the blink of an eye. To me that piece of concrete not only symbolizes that past reality of the Cold War and of my childhood, it's also a symbol of freedom and hope, and of how quickly things can change when the time is ripe. It represents an important piece of world history, my country's history, my own history. It is a very special piece of stuff and it sits at a focal point in my living room because I associate it with a story. What is a special item you have at home that is full of meaning to you?